Learn how to make your own songs step-by-step with our songwriting tips and techniques. Use songwriting software to compose and create. So you are ready to unleash your inner songwriter, and learn how to write a song? Welcome! Of course one post cannot possibly cover every aspect of this illusive craft. What it will do, however, is take you step-by-step through the basics of songwriting. And help you write your first song. It will also show you how you can use songwriting software to make the process a little easier. Then finally we have heaps of songwriting tips and techniques to help you progress toward your goal to become a song composer. A quick question for you … What is the difference between an amateur and a professional songwriter? Well according to Oscar Hammerstein, the amateur is “money-mad”. The amateur wants to make some quick money and thinks that songwriting is an easy way to do that. However the professional just loves songs and loves songwriting. Quick tip to becoming a pro: don’t even think about the commercial aspect of songwriting for now. Be a professional, and write songs because you love it. Start off by thinking about what kind of songs you like, and what sort of songs you want to write. They may be different things. Begin by thinking whether you want your song to be: personal; universal; happy-go-lucky; observational; romantic; socially aware; light-hearted; funny; angry; instrumental; anthemic; religious; or a protest. Try to understand the difference between personal fulfilment and commercial success. Bring out your inner professional. You are more likely to write a successful song if you don’t think about the commercial aspect at all. So indulge yourself. And learn to please yourself. If songwriting is really about communication more than anything else, then be as honest as you dare. Here are a couple of songwriting tips to start you off. Listen to the songs you love more critically. Think about who the artist is writing for, and why? What are they trying to say? Think about the ‘style’. What makes a song fit into the category of pop, rock, electronic, acoustic, folk or opera? What kind of person buys these different kinds of songs? Which do YOU feel the strongest connection to? Become a critical listener. Work out how many beats in a bar if you can. Think about the tempo. Listen to key changes that move you. And what takes you by surprise. Here are some popular songwriting themes: I love you; I hate you; We don’t talk any more; You’ve hurt me; Time to break up; Let’s reconcile; I miss you; The sun is shining; It’s a beautiful day; It’s cold outside; I don’t trust you … so many options! The most common time signatures used in popular music are 3/4 and 4/4. This means either 3 or 4 beats in a bar, with the first beat the strongest. When you listen to the songs you love, clap along and emphasise the first beat of the bar. If you need a bit more help with this, check out The Killers Mr. Brightside which has a very definite 4/4 with a nice strong first beat so you can easily identify it. Compare that strong 4/4 with Green Grows The Laurel, which is in 3/4. Can you spot the beat? (There are many versions of this, but it is easy to spot the 3/4 in the Mick Moloney version ). Hear the difference? Now test yourself with The Stranglers Golden Brown. This song is predominantly in 3/4, but the instrumental breaks comprise 3 bars of 3/4, followed by a 4/4. In the first instance, stick with tried and trusted 4/4, or 3/4 if that suits your song better. An excellent purchase might be a very good metronome. A good metronome will allow you to program different beats to the bar, different tempos, and will often have rhythm variations and a built-in tuner too, for example the Korg TM60. Tempo is usually measured in ‘beats per minute’. Obviously fast and slow songs have a completely different feel, you need to decide what effect you are trying to achieve. Faster songs are suited to: high energy; dance; anger; excitement; exhilaration. Slower songs might be better to say: I love you; You’ve hurt me; I’m sad; I’m lonely. Again, the metronome will help you to determine the tempo of your favourite songs which you then might wish to mirror in your own songwriting. If you play the guitar or keyboard and focus on those chord sequences, you will find that sticking with the above is a fantastic start. Another great way to play around with chord sequences very easily, is to use Band In A Box (more details below). The brilliant thing with Band In A Box software is you can simple type in chord sequences and generate whole backing tracks. Perfect to quickly get ideas you can the easily expand and experiment with. Consider having a rhyming dictionary and a thesaurus handy so you can be creative when looking for rhyming words and inspiration with your words. All good songs, whatever genre, have one very obvious thing in common: structure. To write a good song you need to be an architect. Your song needs to have a cohesive structure, and feel as if it is ‘going somewhere’. Here are two of the most successful songwriting structures. Try using one of these to shape your ideas. These structures work well because audiences throughout the world understand them. Which means that they can instinctively follow where the song is going. Provided you have a good hook! You will have to spend time crafting your song so the structure doesn’t sound too forced. Of course, you might have your very own Bohemian Rhapsody or Good Vibrations on your hands. So in that case, make your own rules. But remember, even songs that ‘break’ the rules are still cohesive, and the pattern is understandable to the listener. In the first instance, stick with tried and tested patterns. Once you get into the flow of songwriting you can think about breaking the rules. Think critically. What difficulties have you encountered so far? Do not give up now, you just began to make your first song! Instead, solve the early problems. Have you chosen the write key for your voice, or your guitar or keyboard. Is it making it difficult to sing and play? Then change the key! Have you run out of ideas already? Then think about collaborating with someone else. Does your song lack structure or structure? Go back to Step 6. Or revise your rhyming scheme. This is where you need to become an analyst. Try to hear your song in an objective way – like a member of the public or a reviewer might. Take out anything that is not needed. Ask yourself if you are: too repetitive; too wishy-washy; is the song too long; is it just a tad self-indulgent. If so, take it out. If the song bores you, it will bore others. But at the same time, don’t be so hypercritical that you stop. If this song goes wrong, start again with a new idea. Keep doing it. You will improve. Sometimes you need to put the song away for a bit, then come back to it fresh. What sound/feel you want the song to have? You can make one song sound like umpteen different ones, given different instrument treatments, tempo, and style. For example, check out the difference between All Along The Watchtower performed by Jimi Hendrix, then, with rather the bizarre ‘helium style’ voice in this version by the original songwriter, Bob Dylan. Compare both to this fantastic, and totally different rendition by AfterHere. How could you change your song? Think about which instruments affect the genre, mood and style of a song. Now, try yours with different instruments and arrangements. If you close your eyes, where does your song take you? Is that where you intended it to go? Think about the emotion you want the intended audience to feel when they listen to your song? How can you achieve that? How far you go with recording your song will depend on your available equipment, plus your plans for the song. We cover how to record a song in more depth in a different post, but here are a few pointers. You can achieve professional recording results at home with a little learning and research, using specialist recording equipment like a Zoom H4N Pro or an Audio Interface in combination with Digital Audio Workstation (DAW) Software. Research recording studios in your area for a professional recording experience without the hassle. With the massive reduction in cost of equipment this is becoming a more affordable option. Or even check out your local colleges to find ones teaching Music Technology and Recording Techniques. They will have equipment and be looking for people to practise their skills on! Before you send your recorded music anywhere, ask yourself if it really represents what you wanted to achieve. Listen to it alongside other songs you admire, and compare how you measure up against your goal. Happy? Excellent. Then it’s time to share your finished song. Be prepared to fail but do NOT give up. If you get rejected when you wrote the best song ever, just try again. And keep on trying. If this is your passion, then stick with it. Promote it yourself. Play it to people, or get someone to play it for you everywhere they can (if you are not also a performer). You can release your music on iTunes, Amazon and Spotify regardless of mass media involvement. The music industry is very different today to what it was 20 years ago. You can get there on your own…. if you work hard at this bit. So you followed the 10 steps and wrote your first song. What next? Did you “suddenly have something”? Maybe your inner Nick Cave could do with a little help? If that is the case, then take a look at some of these excellent tools that will help you write better songs. Write And Develop A Song Instantly With Band In A Box. This software is easily one of the most addictive and useful songwriting tools available. At its simplest level you literally type in a sequence of chords and Band In A Box it will generate a whole set of tracks for you. What better way to try out various song structures? You can pick from literally hundreds of styles, and you can add in and take out instruments. This is even before you have started with the harmoniser, the melody line generator and all the other great song writing features that are available at the touch of a button. Once you have got your basic structure you can easily change the key signature, transpose, edit chords here and there, and really feel like you are making progress. That ability to play and adjust will mean your creative genius can start to work overtime. In fact you can work through all the steps above (apart from promoting your song) in this software. When you have shaped your basic song in Band In A Box, then you can choose whether to export it or actually keep working towards a completely finished arrangement. There are plenty of options, and you can also record in a vocal track, add lines using MIDI keyboard, or use VST’s or the Real Tracks to build up a polished performance. Once you have everything right, you can export easily to high quality MP3 or full uncompressed audio. If you want to do even more, Band In A Box also comes with RealTracks and RealDrums that give you access to recordings by top studio musicians for use in your songs. The latest version also has Video RealTracks which generate composite videos of musician’s performance. The other really neat tool is the Audio Chord Wizard, which will analyse chord sequences in your favourite songs. This is a brilliant way to learn how songs are structured. For Windows users, you also get RealBand. This is a fully-featured and powerful music arranging, sequencing, and digital recording program. It can be used as a stand-alone music workstation, or together with Band-in-a-Box as an all-in-one sequencing program with automatic accompaniment. Band In A Box was originally devised for musicians to generate their own backing tracks. But in our opinion it is simply the best software tool available if you want to learn how to write a song and actually put ideas straight into action. Available for PC and Mac, in the original Pro version, or bigger packs with more styles, RealDrums and RealTracks. Free is always good. And a great way to quickly sketch out ideas and experiment with chord progressions and melody is Hookpad. No need to download anything, it just works in your browser, and it is very useful. Hookpad helps you pick chords that sound good together, and it will guide you with your melody writing too. It has music theory “built in” to help you find exactly the sound and feel you are looking for. We have focussed on just two great songwriting software products here. For much more information about software that might suit your style of songwriting, have a look at our post on music making software for other ideas. Once you have mastered the basics of the craft of songwriting, you are going to want to go deeper. Luckily there are plenty of great books available that will guide you. Veteran songwriter Pat Pattison has taught many of Berklee College of Music’s best and brightest students how to write truly great lyrics. Her Essential Guide to Lyric, Form and Structure contains essential information on lyric structures, timing and placement, and exercises to help everyone from beginners to seasoned songwriters say things more effectively and gain a better understanding of their craft. Features examples of famous songs for study, including: Be Still My Beating Heart * Can’t Fight This Feeling * It Was a Very Good Year * Tickle Me * and more. This is a really well-written and easy to understand book on all aspects of how to write a song. The chapters on theory can easily be followed and trialled in Band In A Box software, or Hookpad. Another practical, and inspiring book about how to write a song. Six Steps to Songwriting Success presents a step-by-step approach to mastering the elements consistently found in hit songs. The author Jason Blume, is a songwriter who has had songs on the Country, Pop, and R&B charts all at the same time, so whatever your genre you should pick up some excellent songwriting tips. The book contains aids such as the three-step lyric writing technique used by the pros; lyric, melody, and demo checklists; and tools for self-evaluation, as well as many other exercises that work. The Young Musician’s Guide to Songwriting helps you start songwriting from scratch. Lisa Donovan Lucas recognises how hard it is to get started designed and wrote this book specifically for guiding the young musician through the songwriting process. It takes you right through from idea generation to a completed song. An excellent book for all ages. 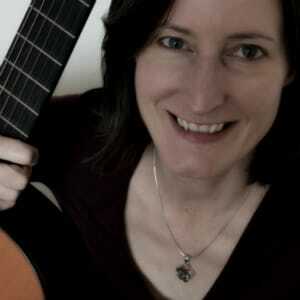 Lisa is a renowned songwriter who is passionate about passing on the magical craft of songwriting to others. If video and structured training is more your thing, then there are plenty of very well reviewed online songwriting courses. In particular, Udemy has plenty of very well-reviewed and well-priced courses on how to write a song, and then how to improve your songwriting techniques. Whatever your genre, there will be a course to suit you on that platform. Another option is to subscribe to LinkedIn Learning. For a modest monthly fee you can have access to a whole suite of songwriting courses. There are courses for every level, from absolute beginner to seasoned semi-pro. The really cool thing about using this platform is that you can access their courses on absolutely everything. So while you are learning to write songs, you can also brush up on your guitar skills, or teach yourself the piano or keyboard. This is not just a book, it is a whole method to master chord theory very quickly. The Chord Wheel is a device that puts the most essential and practical applications of chord theory into your hands. 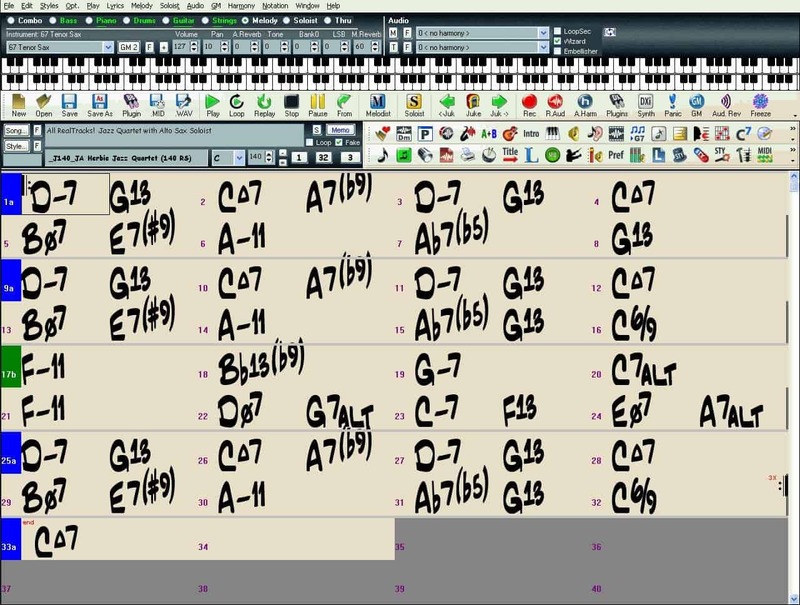 This tool will help you to improvise, and to really understand key structure. It also helps you to transpose between keys instantly, whatever chord progression you have used. This is an excellent tool to help with your songwriting. And you don’t need to be able to read music to use it. Our guide to the best USB microphones, if you want to buy one piece of equipment to record your songs and don’t have a lot to spend, then a USB mic is a good place to start. If you are a keyboard player, then you should learn to connect your keyboard or piano to your computer, this will assist your songwriting efforts no end. Guitarists, discover the best kit to record your guitar, so that you can capture your songs easily. Good luck with your songs and songwriting. We’ll be looking out for you! Previous Post: « What is a USB Microphone? How Does a USB Mic Work?